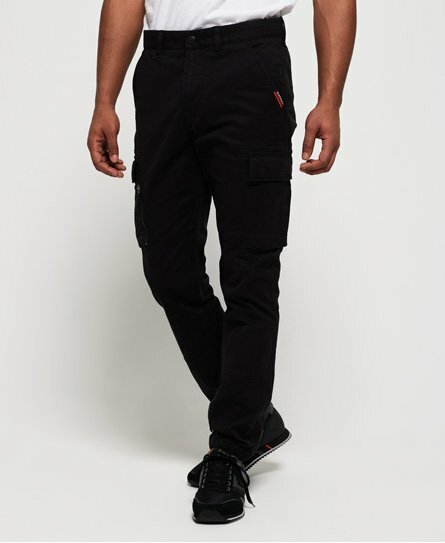 Superdry men's International Recruit grip cargo pants. These classic cargo pants feature six pockets, zip fly fastening and belt loops. Completed with a logo tab on one front pocket and small logo badge above one rear pocket, these cargo pants are a great alternative to jeans. Style with a crisp button down shirt to strike the balance between smart and casual.